Wendy's Diner is connected to the Cassville Fire Department on Route 8. The relationship between the diner and the fire department is evident in the decor and on the menu. Mike Brown, one of the diner's owners has been a firefighter with the Cassville Fire Department for 23 years. Firefighter inspired dishes like the "The Chief's Breakfast" are built to satisfy the appetite of the heartiest eater. Wendy Brown, who owns the diner with her husband Mike, says "we specialize in large portions...we have a lot of farmers and truckers...so we give really big portions" to keep them fed. Her daughter, Niki MacBlain says the Chief's Breakfast has "huge pancakes" and "everything a Chief should eat." Wendy's Diner has been a part of the Cassville community for nearly 10 years, and when you try their food, it's not hard to see why. The portions are almost comically large - you're sure to have leftovers - and the food is delicious, hearty, and satisfying. The diner itself is warm and inviting. From the moment you walk in the door, you feel a sense of belonging - as though you could start up a conversation with anyone in the room, and they'd gladly welcome you to pull up a chair. Wendy's Diner is open 7 days a week, and is located at 1717 State Route 8, Cassville, New York - right next to the Cassville Fire Department. When you go - bring your appetite, you'll need it, whether it's for their breakfasts, lunch, or famous fish fry. Tell them Beth and Dave sent you. Do you know a spot that needs to be featured on Small Town Eats? You decide where Beth and Dave go next. 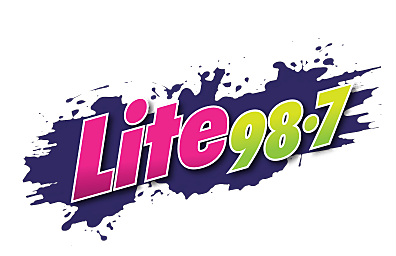 Send Beth an email at beth@lite987.com.